The team hasn’t logged a single win this season—until now. For the time being, the Los Angeles Valiant is back to flying free. After experiencing an entire stage without a single win, the Valiant have broken their losing streak with a 3-2 victory against the Atlanta Reign. The hard-fought victory comes after a series of coaching changes and roster swaps for the LA team. This brings the Valiant’s record to 1-8 for the overall season. The Valiant began the match against the Reign with a win on control map Lijiang Tower. While they showed continued confidence on the next map, Paris, the Atlanta Reign managed to take the map on their attack with a record-fast time. Blizzard World was a familiar scene for the Valiant—Atlanta denied any of their attempts to attack on the map. Junkertown was the true turnaround point, in which the Valiant swapped to an unexpected DPS-based defense that temporarily displaced the Reign. Flex support and occasional DPS player Park “KariV” Young-seo made a triumphant return to the stage on Roadhog. The Valiant took Junkertown and managed to roll that success on to the final map, Busan, for their first win of the season. During the first stage of this season in the Overwatch League, the Los Angeles Valiant logged a 0-7 record; they were the only team to not win a single game in the stage. Stage two began last week, and the Valiant’s bad luck continued. Their first opponents were the San Francisco Shock, the runners-up in the stage one finals, who took the undefeated Vancouver Titans to a close-fought seven-game series. It was a quick 4-0 victory for the Shock. The Valiant win comes after a host of changes that took place during the stage hiatus. Head coach Moon Byungchul was let go after the team’s unceremonious first stage, leaving assistant coach Mike “Packing10” Szklanny with an interim head coaching position. The team also added former Florida Mayhem assistant coach Marvin “Promise” Schröder to their coaching staff. 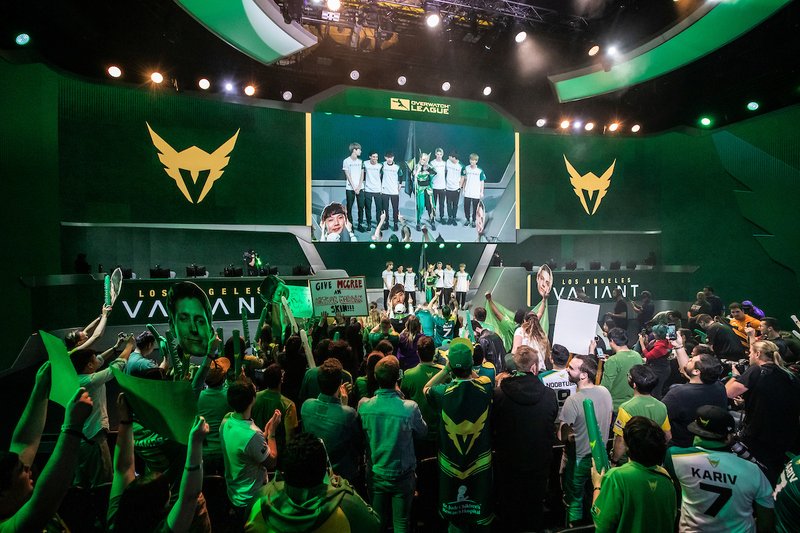 The next game for the Los Angeles Valiant is also monumental for them. Sunday’s game is the latest “Battle for LA,” a title given to any game in which they face the Los Angeles Gladiators. The next Battle for LA takes place April 14 at 7:15PM CT.